The automotive industry has developed some of the most sophisticated crash test dummies in the world for testing and improving a vehicle’s ability to protect its passengers in the event of an accident. However, when that vehicle is designed to protect its passengers from explosions, the US Military decided it needed a crash test dummy better suited to measuring the effects of those powerful shockwaves. So the US Army has turned to a company called Diversified Technical Systems to help develop the WIAMan—or Warrior Injury Assessment Manikin—that is able to better measure how an explosion from an improvised explosive device outside a vehicle, affects those riding inside. 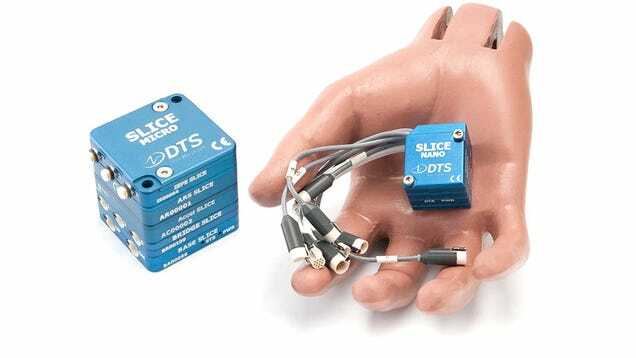 The heart of the new crash test dummies will be the tiny 6DX PRO sensor that DTS has developed that’s packed full of accelerometers and angular sensors to measure G-forces ranging from 2,000 to a devastating 20,000 Gs. The tiny 6DX PRO has enough on-board capacity to record up to 16 GB of data allowing the new dummies to be used for testing everything from improved armour for vehicles, to better shock-absorbing seats, to even improved uniforms for soldiers to help them survive an explosive attack.